The South Beach Diet – What Is It And How Does It Work? Maintaining an ideal weight and having a trim and healthy body is what most of us would like to have, but this does need a proper attention to eating the right food and having an active lifestyle. The South Beach diet, named after a glamorous area in Miami, is one such diet that is being followed by many people to achieve these fitness objectives. The South Beach diet is one that changes the balance of food that you eat, so that you are able to lose weight and maintain a healthy lifestyle. It is also a very correct way of eating, even if weight loss is not one of your objectives. It does suggest the lower use of carbohydrates, but not in as drastic a fashion, as in the Atkins diet. It is lower in carbohydrates and high in healthy fat and protein compared to most eating plans. It is a diet that makes it easier to maintain as a lifestyle, because it gives a lot of freedom about what you can eat, and with far fewer restrictions. To understand the working of this diet, it can help to be aware of how the body’s metabolism functions. Metabolism helps the body to convert the food that is eaten into fuel for the energy that the body needs for its processes and actions. When a person has a metabolic rate that is optimal, he or she will be able to maintain an ideal weight. When blood glucose levels are high they create a sluggish metabolism. When the metabolic rate is low, it is difficult for the body to lose weight. Glucose levels are stabilized by insulin, and if the body is not able to produce the required insulin, the result can be diabetes. The high glycemic index of any food means that it has high glucose levels. This index is the cornerstone of the South Beach diet. The South Beach diet goes through three phases, with the first phase concentrating on removing carbohydrates so that blood level glucose is leveled and the metabolism kicks into gear. Removing a food group from a diet, and especially one that has high sugar levels can lead to a weight loss that can be quite drastic. This is not healthy in the long run, but does help to start the process of losing weight. That is why this is followed only for two weeks, during which the metabolic rate does improve. In the second phase food from all basic groups is included and the diet is continued till the desired weight loss goal is attained. You need to learn the difference between good and bad carbohydrates for this phase to succeed. The good fats and bad fats also need to be differentiated. The foodstuffs eaten during this second phase must be those that are lower on the glycemic index. The basic food groups are grains, fruits, vegetables, milk products and other calcium containing food, proteins and fats. The choice is quite wide and allows a dieter to eat almost anything, as long as sufficient attention is paid to the glycemic index. A greater variety in food acts as a motivation for the dieter to continue with the diet. Phase three of the diet starts after the ideal weight is reached and is one that has to be maintained as a lifestyle, so that there is always a control on the weight. You can eat whatever you want, as long as the rules of the glycemic index are scrupulously followed. Eat always in moderation and keep a constant watch on your weight and go back to any of the earlier phases, in case you do feel it is slipping back to earlier levels. See that the food you eat is nutritious. It is also important that the South Beach diet has to be followed with an active lifestyle that has the right amount of exercise, as this is also one way of keeping the metabolism working as it should. Be constantly aware of what you are eating and the health benefits that the particular food has. After a time, selection of the right food is almost automatic, and then the South Beach diet becomes very easy to follow. 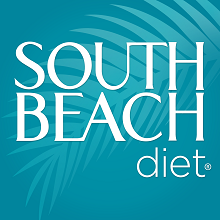 Well, that’s all the basic information we think you should know about the South Beach diet. For more explanations about it you can also check the video below. What Is The Atkins Diet And How Does It Work? 3 Week Diet System Review – Does Brian Flatt’s Diet Work? « The Venus Factor Diet Review – A Real Weight Loss System?